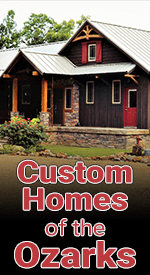 Home #5 - Custom Homes of the Ozarks, Inc. Custom Homes of the Ozarks, Inc.
Take 62E and make a left on Hwy 101 toward Gamaliel. Make a left on CR 241. Drive a mile down the gravel road. The house is on the left - House #628. See the sign. Paul Darracq is a fourth-generation home builder and has been in the construction industry for over 23 years. He holds a Bachelor of Science Degree in Construction Mgmt. and a Minor in Business from Brigham Young University/Idaho. 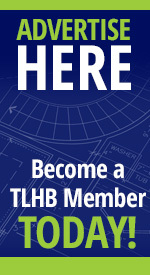 Upon graduation, Paul was recruited by the 2nd largest custom home building company in the U.S. based in the Southeast. A native resident of Mountain Home, Paul and his wife Amie desired to bring their children and business back to Mountain Home. This prompted his return to the area where his family has long been established in construction and property development in the Twin Lakes area. Licensed and insured as a residential builder, Paul specializes in designing and building quality custom homes, remodels, additions and home improvements. Energy efficiency, detailed craftsmanship, and adhering to the budget are the trademarks of Custom Homes of the Ozarks. Their belief is that building the home of their clients is almost like a marriage; and with that, the building relationship needs to have trust and confidence before, during and especially after the construction of their home. Paul takes great pride in his relationship with each of his clients, providing them an enjoyable building experience with close communication and complete satisfaction.